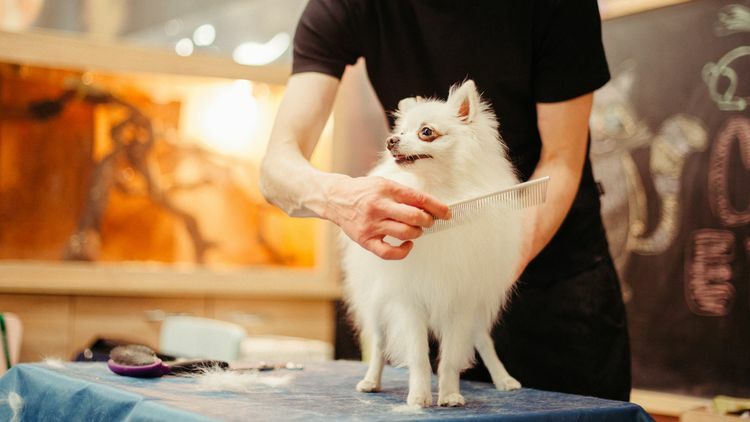 Grooming dogs at home are becoming increasingly popular – whether it’s grinding their nails, conditioning their coats or trimming their hair. A visit to the groomer can be expensive, depending on your dog’s size and coat type. By grooming dogs at home, it can save you money while promoting bonding time with your canine companion. Having a good pair of dog grooming shears is one of the essential items owners who choose to groom at home need. We’ve researched 5 of the best dog grooming shears on the market with quality, ease and affordability in mind. We’ve also included a complete buyer’s guide to help you choose the best one for you and your pooch. All of the following grooming shears are highly rated, highly recommended and can be used for home or professional use. Below we’ve listed 5 of the best dog grooming shears which we’re sure you’ll love. The 7.5 inch straight shears are made from stainless steel to achieve a precise and professional groom. They’re sharp, value for money and comfortable for long periods of time. These are also suitable for all individuals, as its rubber comfort rings are removable. It also comes with a snap close case to store the shears in a safe place when not in use. There is also a curved version for those hard to reach areas with the help of its angulation. Plus, curved grooming shears are great for shaping small areas such as the tail, paws and face. This stainless steel shear has great durability and corrosion resistance. They are perfectly balanced, fitting comfortably in the hand and leave a smooth finish. As these are described as entry-level, they are ideal for both beginners and professionals. With an 8-inch blade, these are perfect for all types of dogs – both matted and well-groomed dogs too. These are the best dog grooming thinning shears, made of premium-quality steel. They are lightweight and comfortable to hold while providing good control and mobility. Due to its sharpness, they thin effectively with ease and efficiency. They’re so quiet that your pup is unlikely to even notice what’s happening! Highly recommended by professional groomers – perfect for shaping, smoothing and sculpting. This grooming kit is perfect for first-time DIY groomers at an easily affordable price. It includes all the tools you need: cutting scissors, thinning scissors, curved scissors, a grooming comb and a storage case. All the tools are created from stainless steel and coated with titanium for durability and style. They also have a finger-rest design for additional control and comfort, minimizing the risk of repetitive motion injury. If you’re looking for a professional dog grooming shears set on a budget, these are the perfect set for you. This grooming kit includes the same pieces as the above set: cutting scissors, thinning scissors, curved scissor, a grooming comb and a storage case. Its ergonomically design makes this set comfortable and suitable for all users. Its removable rubber rings in the scissor finger holes can be adjusted if the finger holes are too small. 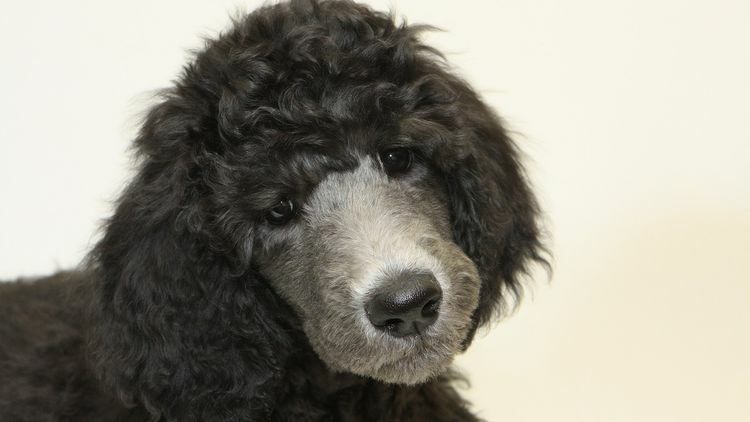 Selecting the best dog grooming shears depends on the dog’s coat and your intended use. Generally the thicker a dog’s coat is, the greater (longer) dog grooming shears are needed. For thin or fine coats smaller scissors between 5.5 to 6.5 inches will do the job. Smaller scissors allow for greater control in smaller areas with the least amount of strain to your hands. Blenders – shears with one straight edged blade and one blade with teeth – are also useful for finishing with a smoother appearance, such as for teddy bear faces. For medium to thick and heavy coats, opt for longer scissors between 7.5 to 8.5 inches. Longer scissors take off more coat per cut, which increases efficiency and helps to achieve a smooth overall finish. For thicker coats, you may also want to consider thinning shears – scissors with two blades with notched teeth – that are great for mass thinning. 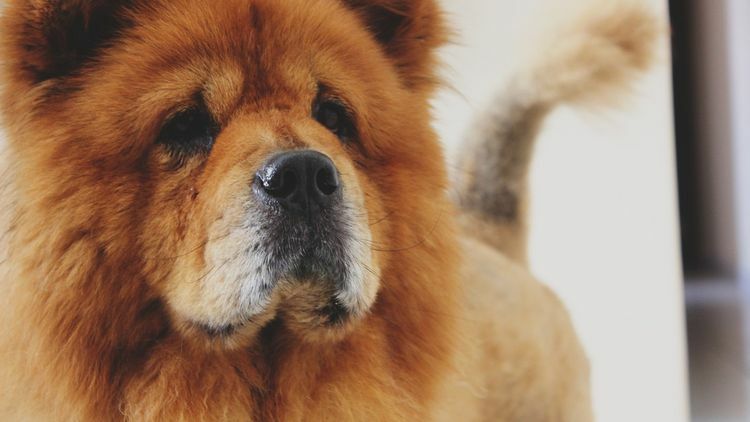 Alternatively, check out our guide on the best dog clippers for thick coats. We highly recommend longer scissors, because they can be used for all types of coats. For newbies: practice with a smaller scissor first so you can get used to the blade. Once you’re comfortable making bigger cuts, go ahead and purchase longer scissors. It can be useful to have a toolbox with numerous sizes of scissor that target different areas of the coat. In addition, you may wish to look for dog blow dryers. Before using dog grooming shears, you ideally want to start on clean, dry fur. Choosing the perfect dog clippers will depend on how frequently you wish to take care of your dog’s appearance. For light trimming on small areas such as the face, topknots, ears or feet, opt for a shorter pair. While you can do everything with a straight scissor, curved blades can help provide the angulation that is necessary with these small areas. For general coat maintenance with little styling, opt for a medium-grade shears. For longer grooming sessions with plenty of detailed work, always choose a professional pair of grooming shears. Due to the long duration of the haircut, you want to look for a product that is lightweight with lots of flexibility so it’s comfortable for you throughout the grooming process. When looking after your dog’s well-groomed appearance, always remember to take care of you and your dog’s safety too. When it comes to DIY grooming, investing a little more money for a high quality pair of grooming shears is worthwhile. Cheaper alternatives tend to be of poorer quality and quickly become dull. This means reduced efficiency when cutting a dog’s coat, leaving you and your dog stressed and agitated. While the best dog grooming shears set are the LILYS PET Professional PET DOG Grooming Coated Titanium scissors, its quality and durability would not be anywhere near the premium style as the Sharf Gold Touch Pet Scissors, 7.5 Inch Straight Shears. With this in mind, the Sharf Gold Touch Pet Scissors, 7.5 Inch Straight Shears and its curved version, Sharf Gold Touch Pet Grooming Shears, 7.5 Inch Curved Shears, makes them our favorite dog grooming shears. They have removable rubber comfort rings making it ideal for all types of users. They’re sharp to ensure an efficient trim and are comfortable for long periods of use. Most importantly, they are great value for money. Furthermore, the best dog grooming shears for thinning are the Ed Geib GATOR 40 Tooth Dog Grooming Thinning Shear. 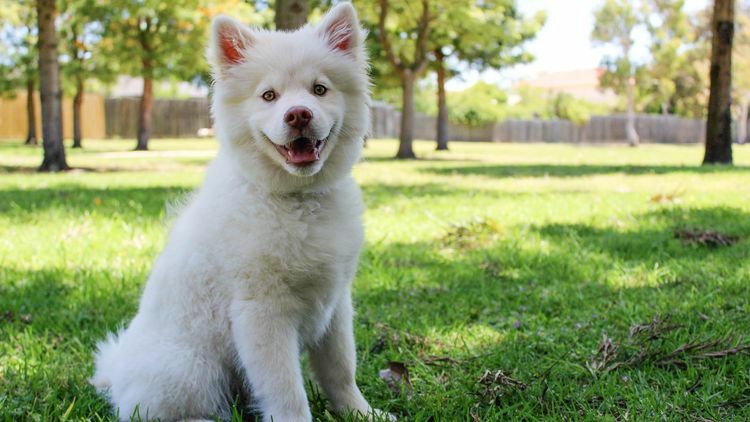 A well-groomed dog will undoubtedly maintain the huge impression it already has in the neighborhood, when you take them for a stroll! We hope this article has helped you choose the perfect dog grooming shears for you and your canine companion. If you have any grooming tips or experiences to share, please leave a comment below! Daydreamdog are participants in the Amazon Services LLC Associates Program and earn from qualifying purchases. This brings no added cost to you and helps us to fund the websites maintenance costs. Daydreamdog.com provides information and guidance from the experience of our authors. This is not professional pet advice. When it comes to the health of your pet always consult a medical professional.